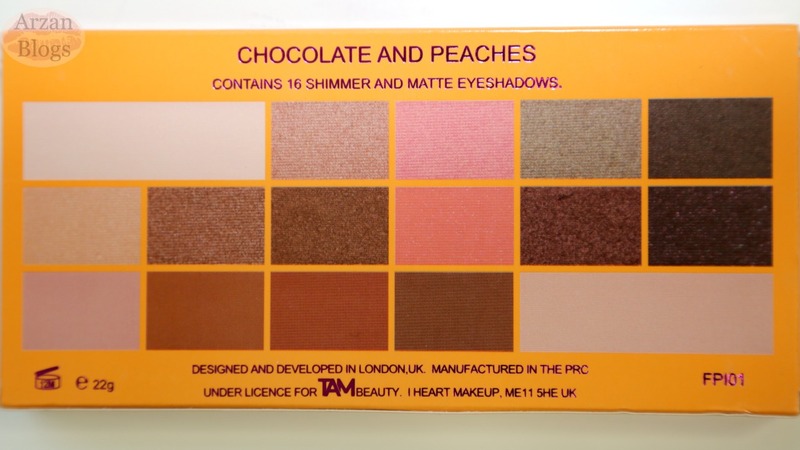 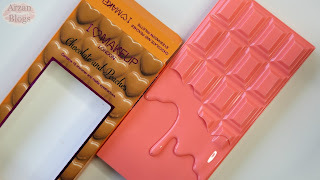 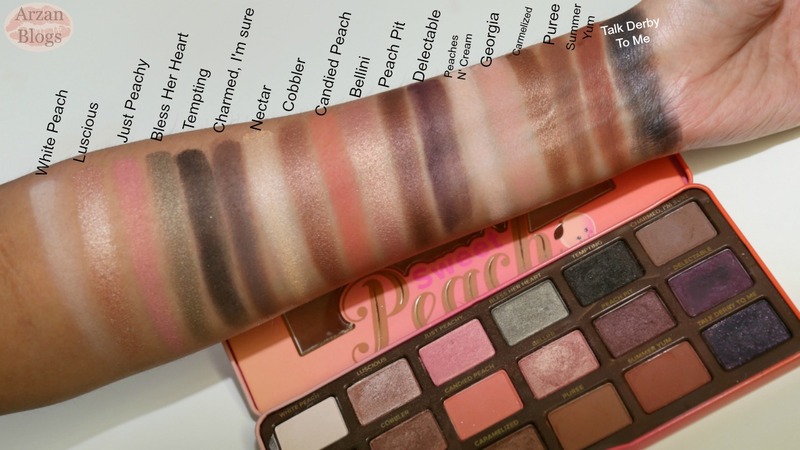 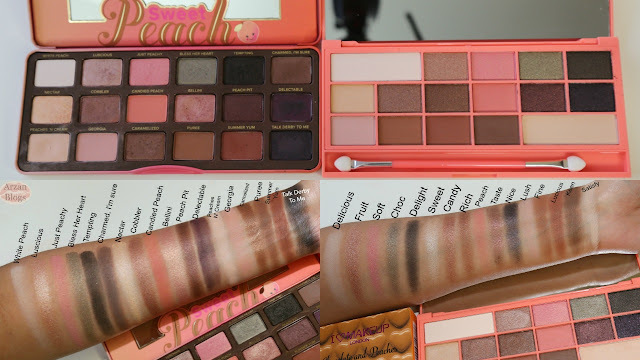 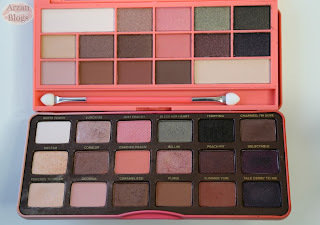 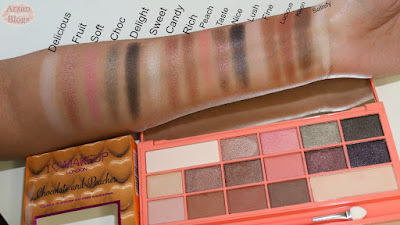 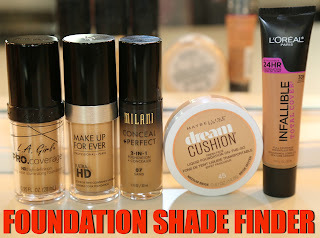 Here's my review, demo and swatches of Makeup Revolution I Heart Chocolate & Peaches Palette. 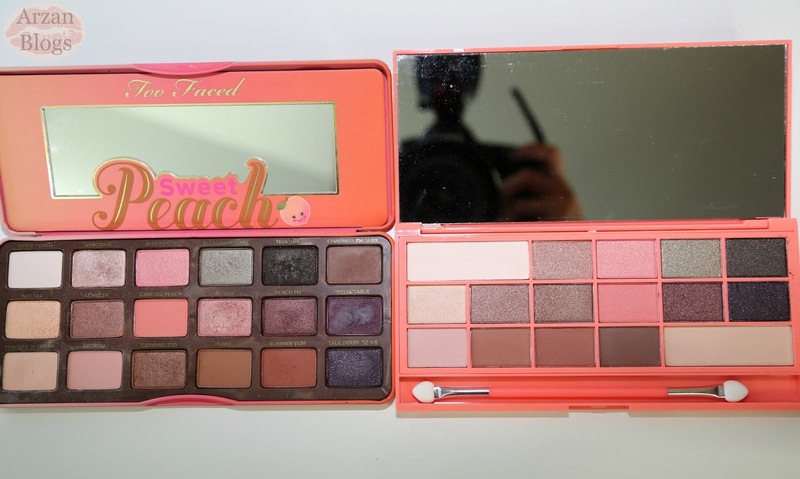 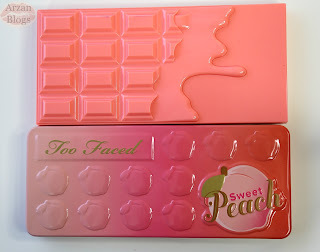 I also compared it with Too Faced Sweet Peach Palette because I was curious to see if it's a dupe for it since a lot of shades seem to be similar. 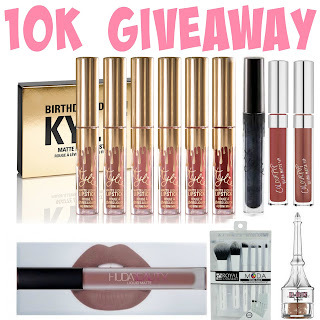 I'm also hosting a new giveaway. 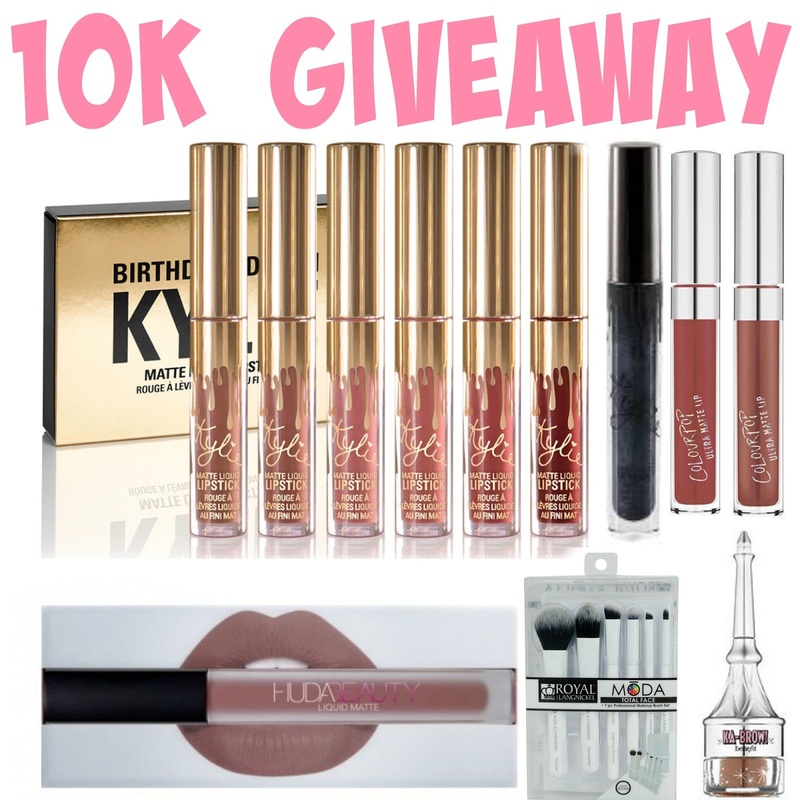 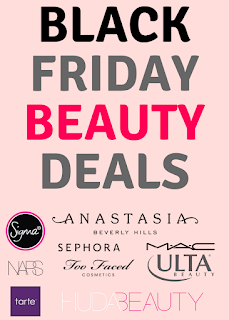 Prize includes: Kylie Cosmetics Mini Lip Kit (koko k, candy k, dolce k, exposed, kristen, leo), Kylie Cosmetics metal lipstick in Kymajesty, Huda Beauty Liquid Matte Lipstick Venus, Colourpop Ultra Matte Lips Tulle & Stingraye, Benefit ka-brow! in Medium, Royal Langnickel Moda Total Face 7pc Set and more. 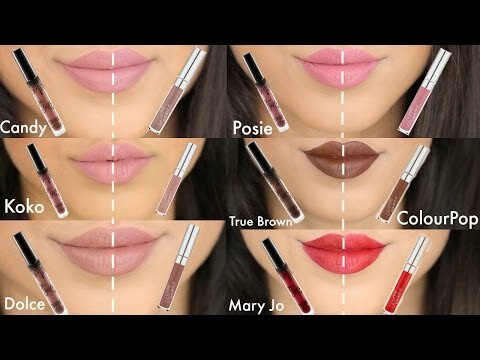 Check out my video for giveaway details. Makeup Revolution I Heart Chocolate and Peaches Palette retails for £7.99, which is about $11.99 USD ($13.43 CAD) and contains 22g (0.78 oz). 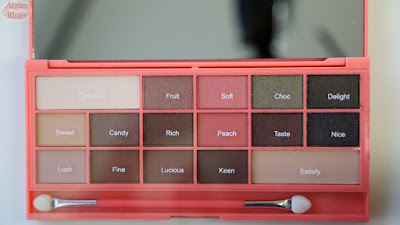 The shade names are listed on a plastic sheet and I really wish the shades were listed on the palette instead. It does come with a sponge-tip applicator but I personally don't use them.